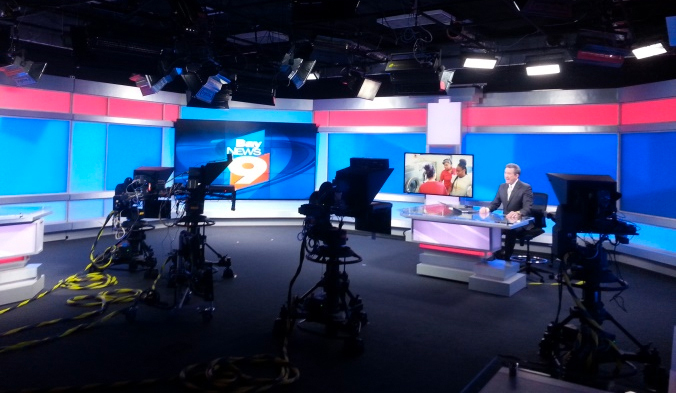 Bay News 9, the Bright House Networks cable news channel covering Tampa, unveiled its studio makeover Monday. The design, from Park Place Studio, mixes backlit panels with metal accents and LED soft video walls that wrap around the studio. “Our vision for this set was to create a multifunctional studio environment that would be flexible, versatile and contemporary,” said Alan Mason of Bay News 9. FL News Center notes the branding, music and graphics did not change with the the studio update. 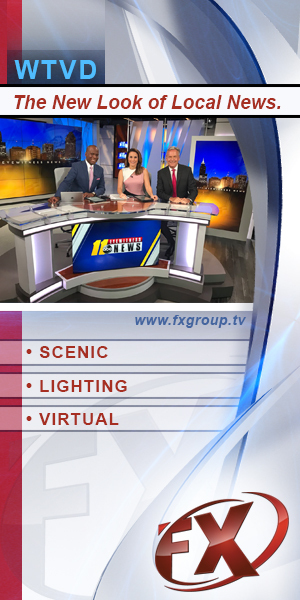 The set keeps the weather and traffic center, which was upgraded in 2013, adding two desks and a 3×3 video wall. Through the backlit panels and surround, the set can change based on news story or program. “We worked with the designers to craft a venue that gives us options for daily news anchoring, special programs such as ‘Political Connections,’ capacity to do debates or town hall meetings in the studio and quickly change branding on the set to accommodate both our English-language Bay News 9 and Spanish-language InfoMás news channels,” Mason said. 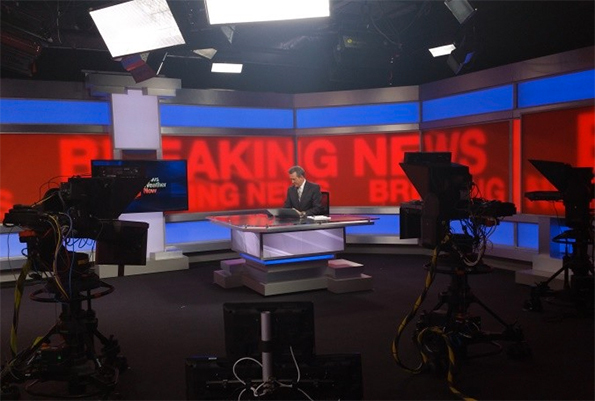 A smaller set was also installed for InfoMás, Bright House’s spanish-language news channel. News 13, the networks sister station in Orlando, is also expected to debut a new set soon.